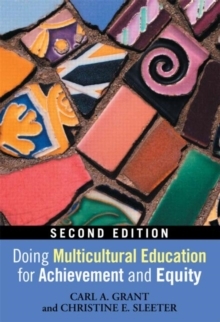 Doing Multicultural Education for Achievement and Equity, a hands-on, reader-friendly multicultural education textbook, actively engages education students in critical reflection and self-examination as they prepare to teach in increasingly diverse classrooms. In this engaging text, Carl A. Grant and Christine E. Sleeter, two of the most eminent scholars of multicultural teacher education, help pre-service teachers develop the tools they will need to learn about their students and their students' communities and contexts, about themselves, and about the social relations in which schools are embedded. Doing Multicultural Education for Achievement and Equity challenges readers to take a truly active and ongoing role in promoting equity within education and helps to guide them in becoming highly qualified and fantastic teachers.